It’s not rocket science: Excessive speed is a factor in about a third of traffic fatalities. Speed also contributes to personal injuries and damage to vehicles and property, whether you are on a country road or in Brooklyn. Speeding is defined as exceeding the posted speed limit or driving too fast for the road conditions. And, though many people do not consider speeding a serious offense, personal injury attorneys regularly litigate auto accident cases and see how the consequences of speeding can be traumaticand life-changing. Decreases the ability to control the car. Increases the chance of fatalities. The force of an impact doubles with every 10 miles per hour increase in speed over 50 miles per hour, in turn increasing the chances of being killed or seriously injured. Even if a person survives, the victim’s life can be forever altered, both physically and financially. Injuries like these can require extensive medical treatment for a prolonged period, perhaps a lifetime, and create a financial hardship if the victim cannot return to work for an extended period. Even losing wages for a short period can be financially devastating. Unfortunately, car accidents can include so many variables that they turn into complicated legal cases. And, even if the case is clear-cut, dealing with insurance companies may require nerves of steel. Insurance companies exist to make a profit and they do that by paying out as little as possible to settle claims. Their tactics include low-ball offers and take-it-or-leave it ultimatums. If you are to receive the compensation you are entitled to, you may need professional advice to protect your rights. As the victim of an accident, you are entitled to compensation for your injuries and damages resulting from the accident. But, you get only one chance to seek compensation, so it’s important it’s handled correctly. To successfully win compensation in an injury accident, legal paperwork needs to be prepared and filed on time. This includes documenting the accident with photographs and statements from witnesses as well as investigating records. Other factors may need to be investigated as well, such as aggressive driving, alcohol, or cell phone use. 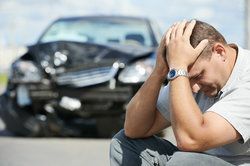 If you or a loved one has been the victim in an auto accident, we understand that this is unfamiliar territory for you. But it’s not for us. For more than two decades, we have fought to protect the rights of people injured in accidents and helped them win the compensation they are entitled to under the law.